The Health Sciences faculty at Douglas College is committed to current and ongoing excellence in all that we do. To that end we recognise that one area we need to continue to enhance, in particular, for our students is timely and effective communication about education and health matters. 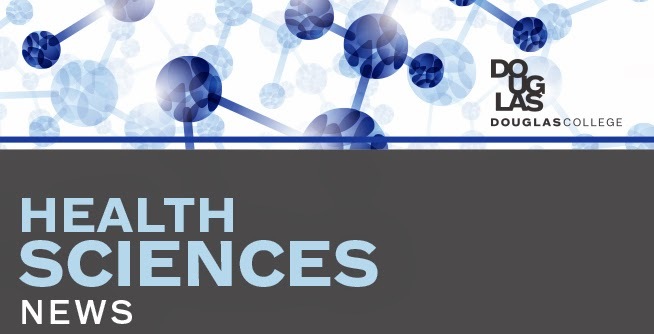 This blog is intended to be the place to go on a regular basis to find out what's new and more importantly what is new and relevant for Health Sciences students and faculty. It is also a place to share student accomplishments and initiatives. A comments section is available for discussion and questions, and the blog will be checked on a regular basis. Please note though that if your question is program related that your communication source remains your program. Thanks for invitation. this blog would be very useful for all students. Don't waste your chance. This commitment of the college has gained a lot of fame and more children are coming to the http://www.medicalresidencyhelp.com/ to give their feed back about the college providing the best education. Thanks for sharing the real ideas of http://www.observershipguide.com as this blog is helpin gmillions of students to make their decisions on the beais of thr given data. You are welcome for the new douglas college with this site and can find all the best options for your choice. You can visit the website and can find all the things which are more good for your help with the best structure. A good blog about health science and medical science education help services. Here i got some wonderful article about medical science and in this article you have provided good information with students employment opportunity about health science. Here visit a good site to take medical fellowship personal statement writing help. Thanks for sharing helpful information. I had certain terrific report related website to health related development together with herein you will have made available superior material utilizing trainees jobs occasion related to health and wellbeing development. At this point experience a superior webpage to have health related fellowship unique fact posting assistance. Kudos meant for posting helpful information. I am graduating this year in Health Sciences and absolutely hated it so much so that I am skipping out on prime assignment Convocation. People in rehabilitative sciences and kinesiology may have had a different experience, but I was sorely disappointed w/ this program. You are welcome for the new Douglas university with this site and can locate all the fine options for your choice. Right here I got a few superb articles about medical science and in this newsletter, you have got provided true information with Cheap Essay Writing Service college students employment possibility about health science. Get assignment help service on students assignment help.com and make your career high. We have experts that offers the world's best online assignment help to the students. If you need help,you can mail us on info@studentsassignmenthelp.com or contact us on +44-7555369184.